Today is the birthday of Christian Diehl (August 21, 1842-1928). He was born in Hessen-Darmstadt, Germany and moved to the U.S. when he was 28, in 1870, settling in Defiance, Ohio. 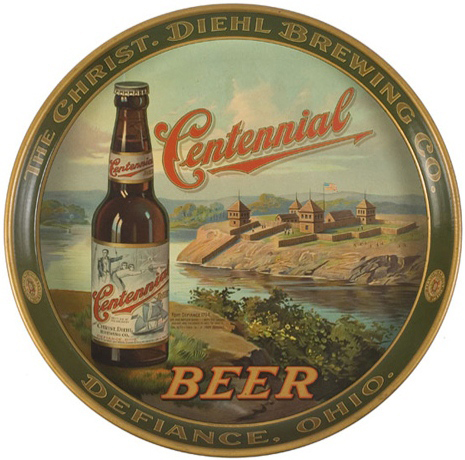 There, Jacob Karst and Joseph Bauer hired Diehl to be the brewmaster for their Defiance Brewery, which Karst had founded in 1867. The next year, Diehl bought out Karst and the brewery became known as the Bauer & Christian Diehl Brewery. Shortly after Bauer died, and in 1885 it became the Christian Diehl Brewery and later the Christ. 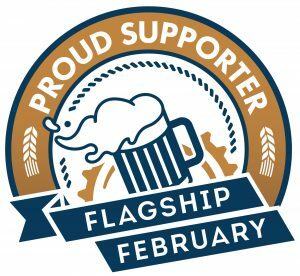 Diehl Brewing Co., with Diehl as sole owner. 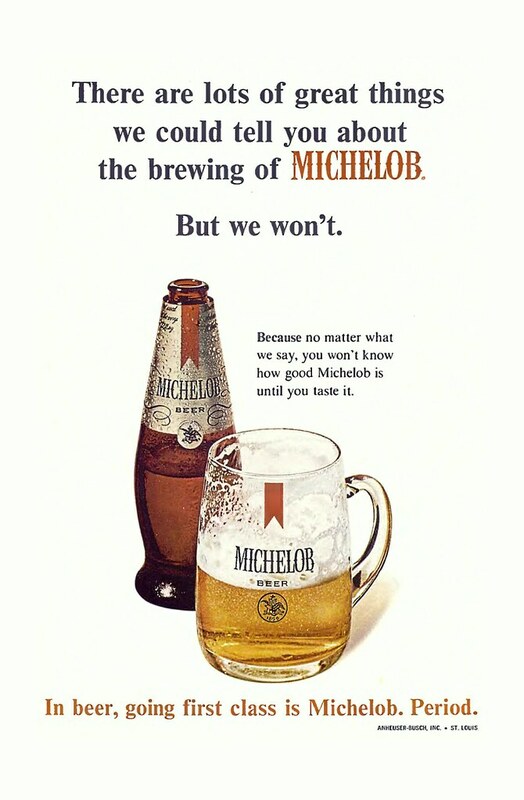 The brewery reopened after prohibition and remained in business for another twenty years, closing for good in 1955. Here’s a portion of an article about Diehl, by Carl Miller, entitled What A Diehl! from the Defiance Crescent News. 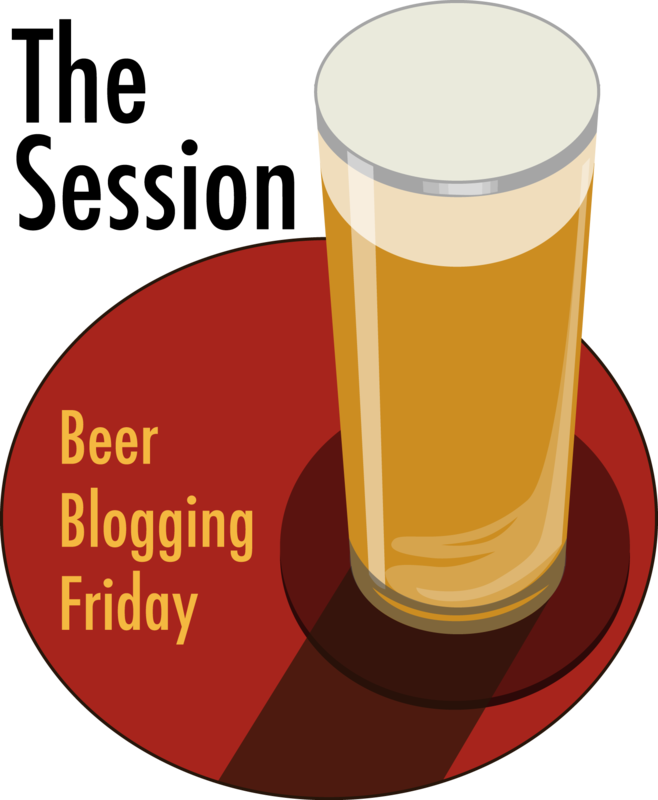 On October 21, 1870, a twenty-eight-year-old Christian Diehl arrived in Defiance to take a position as brewmaster at the local brewery. He had learned the art of brewing beer in his hometown of Hessen-Darmstadt, Germany before emigrating to America in 1861. European-trained brewers like Christian found employment easily in mid-nineteenth century America due to the hundreds of small breweries operating throughout the east and midwest. The young Christian Diehl took full advantage of the demand enjoyed by his profession, traveling from state to state exploring his newly adopted country. 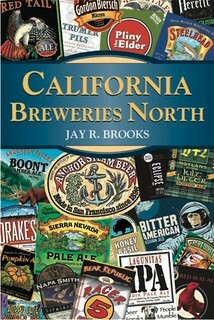 Before coming to Ohio, he worked in breweries in New York, Pennsylvania, Illinois and Missouri. Just prior to his arrival in Defiance, he had been employed by a Toledo brewer. 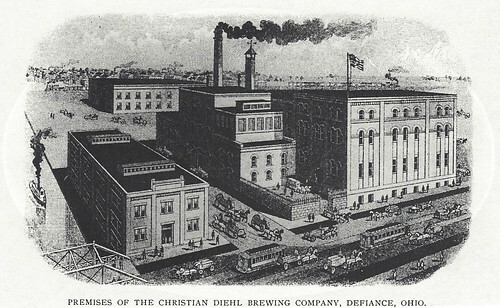 The brewery which lured Christian Diehl to Defiance was established in 1867 by German immigrant Jacob Karst. 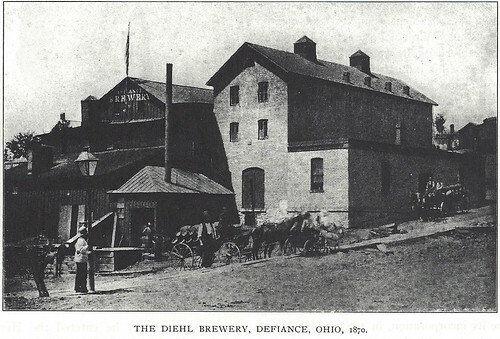 Known simply as the “Defiance Brewery,” the works was situated on North Clinton street just near the Maumee River. 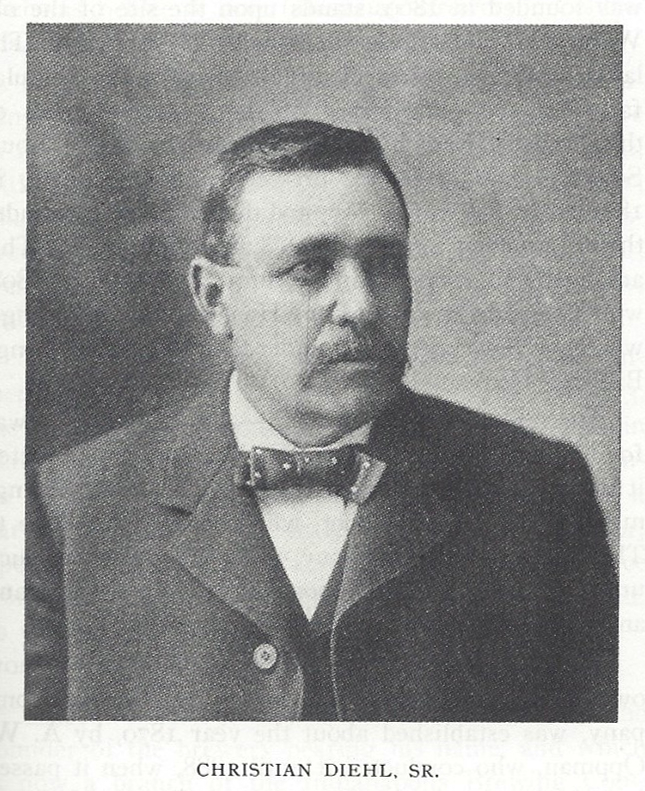 In 1869, local saloonkeeper Joseph Bauer purchased an interest in the brewery, and it was the firm of Karst and Bauer which hired Christian as brewmaster in 1870. 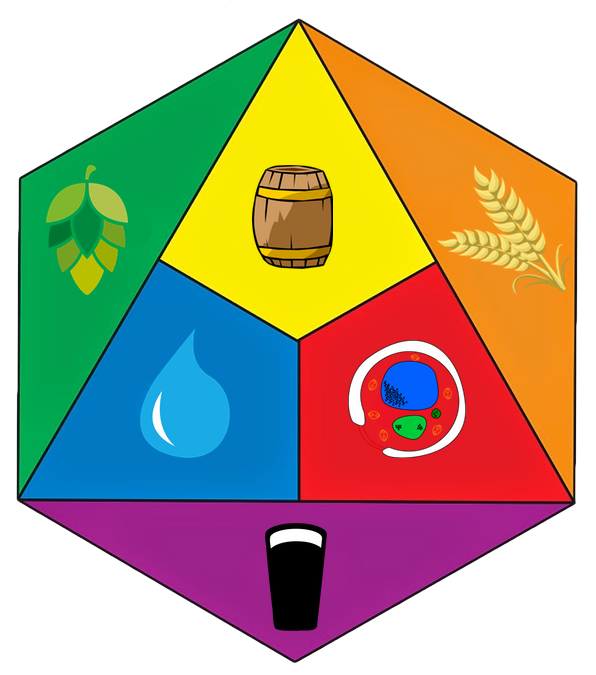 By the following year, Christian had accumulated resources enough to buy Karst’s share in the brewery, and the partnership of Bauer and Diehl was established. 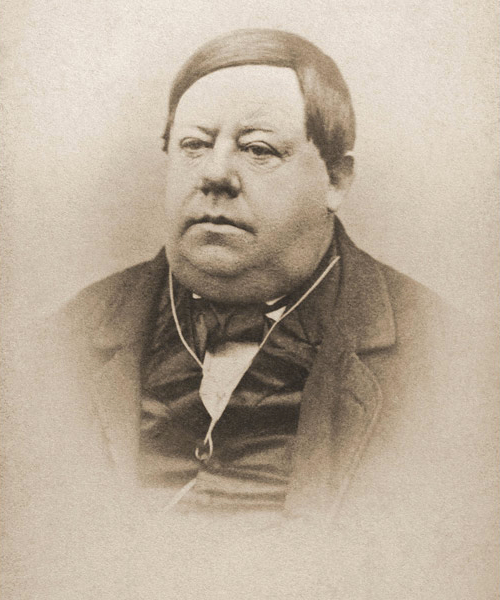 Aside from a brief participation in the business by Bauer’s son, the brewery operated basically unchanged until the passing away of Joseph Bauer in 1883. 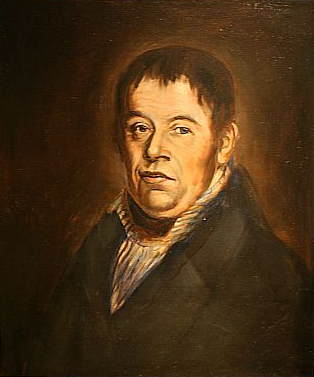 Christian, who had apparently achieved a certain degree of financial success with the brewery by this time, purchased Bauer’s interest from his family in 1885. In 1896, three of Christian’s sons — Christian Jr., John C., and Albert F. Diehl — were initiated into the brewery’s management. The young men had virtually grown up inside the brewery and each was already well acquainted with the business. Christian Jr., in fact, had shown such an early “adaptability for business” that he was put in charge of the firm’s books at age thirteen. 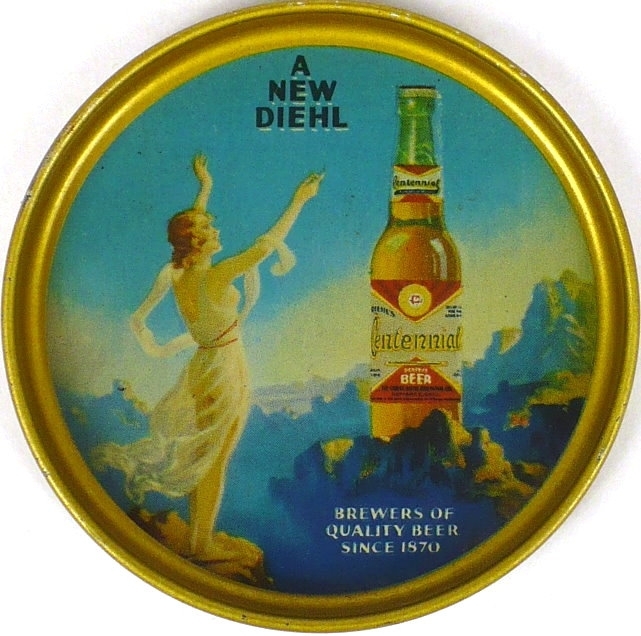 John C. Diehl, having graduated from the American Brewing Academy in Chicago, took over his father’s post as Diehl brewmaster. 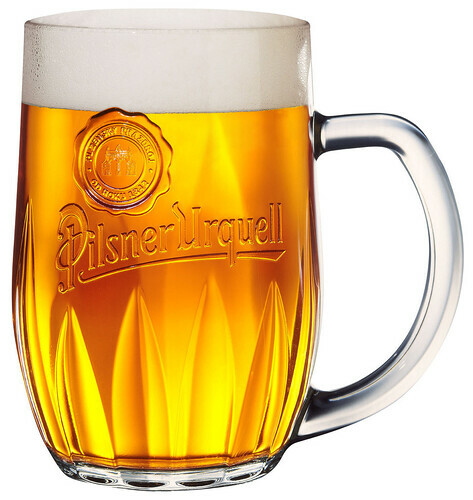 Although the elder Christian Diehl officially continued to fill the office of brewery president, he gradually relinquished control of the family business to his sons. After the turn of the century, Christian spent much of his time tending to the family farm just outside Defiance, where he died in 1928. The young Diehls lead the brewery into what was perhaps the most prosperous period in its history. 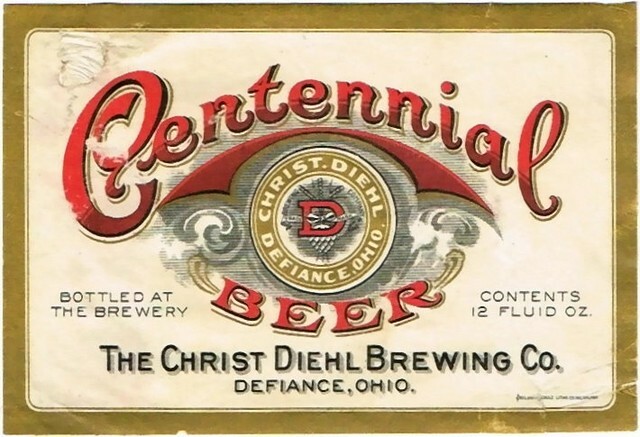 By 1899, the Diehl brewery employed 21 men and produced annually about 12,000 barrels of beer (32 gallons per barrel), a nearly five-fold increase over the brewery’s early days. And production continued to climb well into the new century. 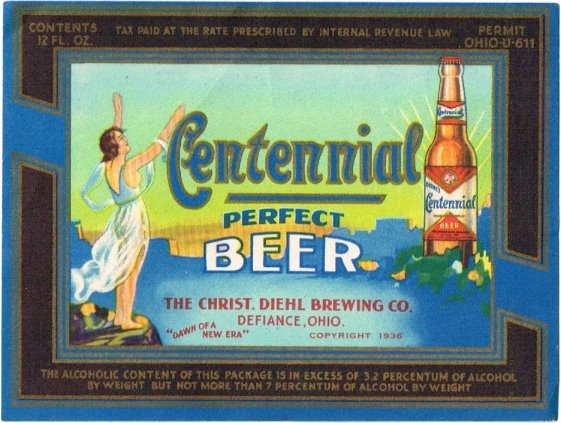 The great majority of Diehl beer was consumed within Defiance County in the years before Prohibition. 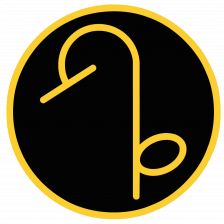 However, a small portion of the brewery’s product was shipped to outside markets. Proximity to the Maumee River provided easy transportation to, among other locations, Ft. Wayne and Toledo. The latter city was quite possibly the brewery’s largest market outside of Defiance. 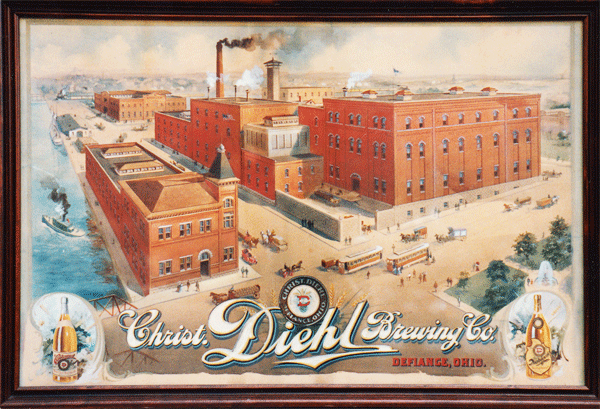 By 1911, sales of Diehl beer in Toledo had justified the construction of a brewery-owned distribution depot in that city. The brewery was said to have sent beer as far north as Grand Rapids before the onset of Prohibition. 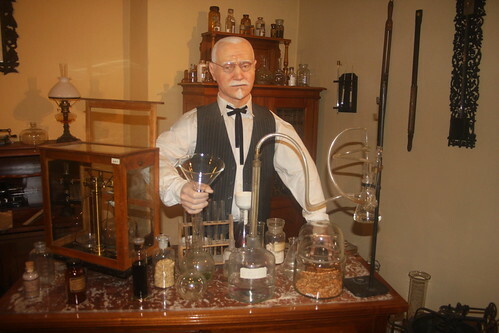 By about 1910, it had become apparent that prohibitionist groups such as the Anti-Saloon League and the Women’s Christian Temperance Union were rapidly gaining ground in their quest to abolish the manufacture of alcoholic beverages. 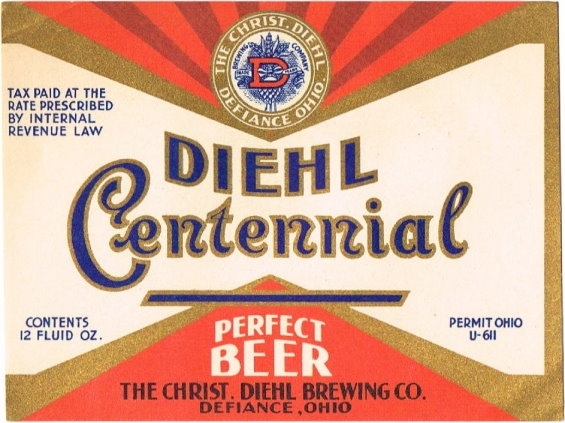 The Diehl brothers, having fostered significant growth and expansion of the brewery throughout the early years of the century, were now charged with guiding the family business through what promised to be uncertain times ahead. The Diehls felt it prudent to begin investigating alternative fields of business in the event that the brewing industry suffered a fatal blow. The milk condensing business emerged as a promising option due to the surrounding farmland, the lack of local competition, and the compatibility of the brewing equipment. Christian Jr. traveled to Wisconsin to observe state-of-the-art condensories in operation and returned with a glowing account of the condition of the industry. The Prohibition crusade, in the meantime, had reached its peak. A 1918 statewide referendum left Ohio completely dry beginning in May of 1919. And, shortly thereafter, ratification of the 18th Amendment marked the beginning of National Prohibition. Brewers nationwide scrambled to find new areas of business in hopes of being among the lucky few who survived. Although the Diehls’ plans to enter the milk condensing business had not fully materialized by the time Prohibition came, the proposed venture had attracted a significant amount of local interest. By 1922, several investors with experience in milk condensing had been recruited, and the Defiance Dairy Products Company was soon in full operation in a portion of the old brewery. The Crescent News called the opening of the condensory “a milestone in the commercial life of Defiance.” Indeed, the milk condensory — still owned and operated by the Diehl family — is today one of the city’s largest enterprises. Incidentally, the brewery was kept in operation well into Prohibition, making “near beer,” a de-alcoholized version of real beer. The bottling works remained active as well, packaging a wide variety of soft drinks. Today is the birthday of David Zamborski, better known to the brewing world as simply “Zambo.” He used to brew for BJs in Southern California but then number of years ago moved to San Francisco to take over the brewpub operations at 21st Amendment, where he spent several years. and later he moved to Speakeasy Ales & Lagers, where he was the Director of Brewing. 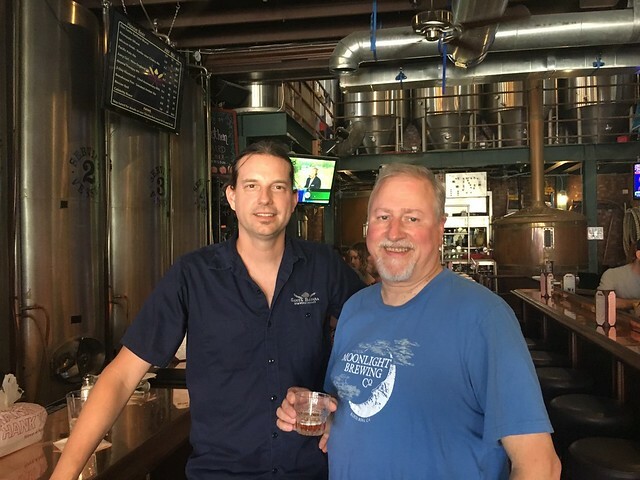 Wanting to get back to his brewpub roots, Zambo’s now the brewmaster and Santa Barbara Brewing, and since we were there on vacation a few weeks ago, stopped in for a few pints and to hang out. Zambo’s doing great things there, he’s a terrific brewer, and it shows it what he’s making there. Join me wishing Zambo a very happy birthday. 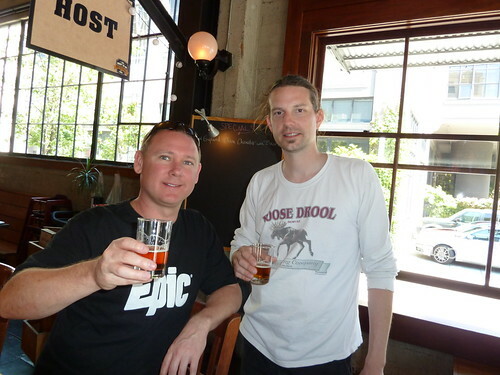 Luke Nicholas, from New Zealand’s Epic Beer, with Zambo during a visit to 21A. 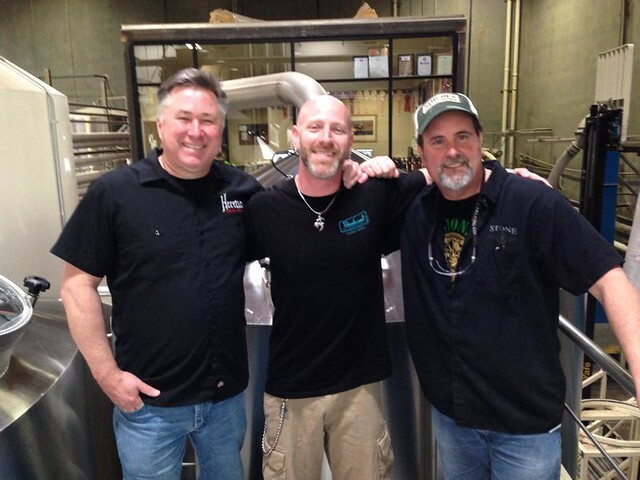 John Tucci (from Gordon Biersch), Aron Deorsey (from Beach Chalet) and Zambo at a release party for Anchor’s California Lager. 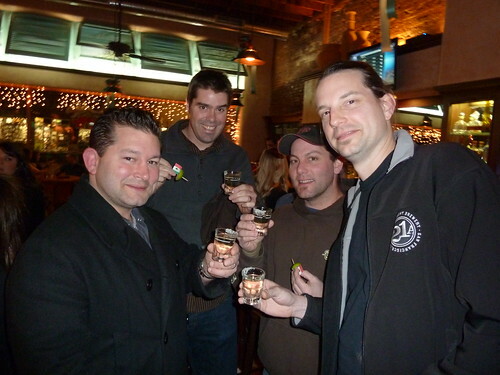 Brendan Dobbel, Rich Higgins, Aron Deorsey and Zambo at a Sierra Nevada’s Beer Camp a couple of years ago. 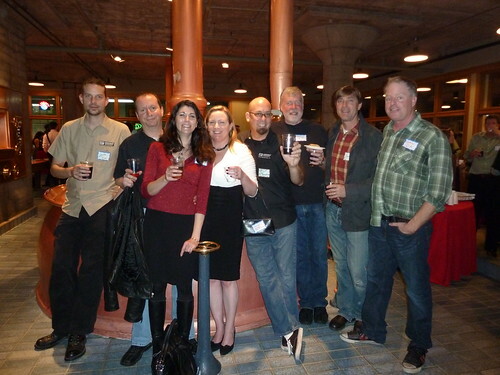 At the Anchor Christmas Party a few years ago: Zambo, Rich Rosen (Pi Bar, Chenery Park), Jen Garris (Pi Bar), my wife Sarah, Lloyd Knight (21A), Dave Suurballe (everywhere), James Renfrew (formerly with Potrero Hill Brewing) and Shaun O’Sullivan (21A). At Santa Barbara Brewing a few weeks ago. Today is the 41st birthday of Julian Shrago, brewmaster at the Beachwood BBQ & Brewery in Long Beach, California. 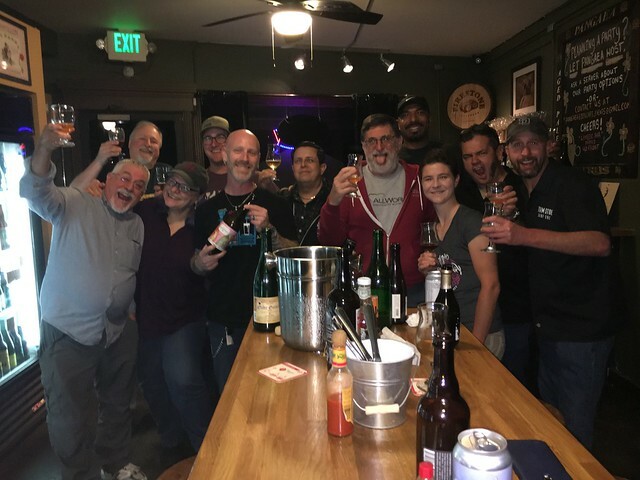 I can’t remember when I first ran into Julian, probably either one of the early Firestone Walker Invitational Festivals or possibly out at GABF, where in 2013, he won Mid-Size Brewpub of the Year and the following year, won big again as Large Brewpub of the Year. Julian is a great brewer and made his mark very quickly after turning pro in 2011. I visited the brewery a couple of years ago, and it really is one of the best. Join me in wishing Julian a very happy birthday. 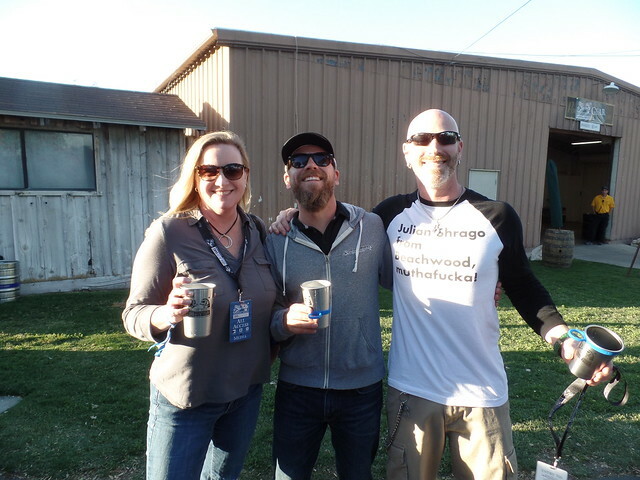 My wife Sarah, Matt Brynildson and Julian at the Firestone Walker Invitational earlier this year. 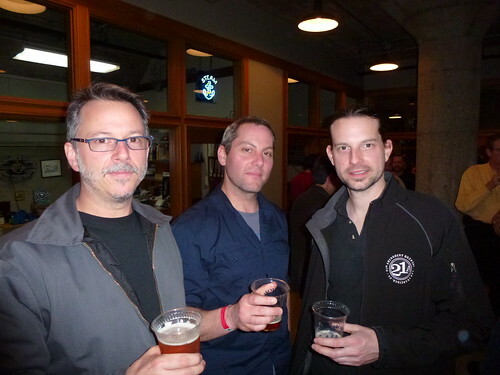 Jamil Zainasheff, Julian and Mitch Steele in San Diego for the Stone/Heretic/Beachwood collaboration in 2014. 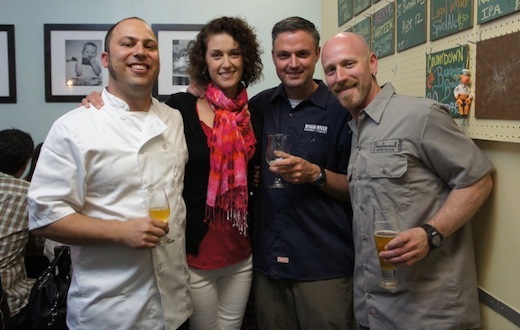 Beachwood BBQ chef Gabe Gordon, Natalie and Vinnie Cilurzo, and Julian at a beer dinner at Beachwood shortly after they added the brewery in 2011. 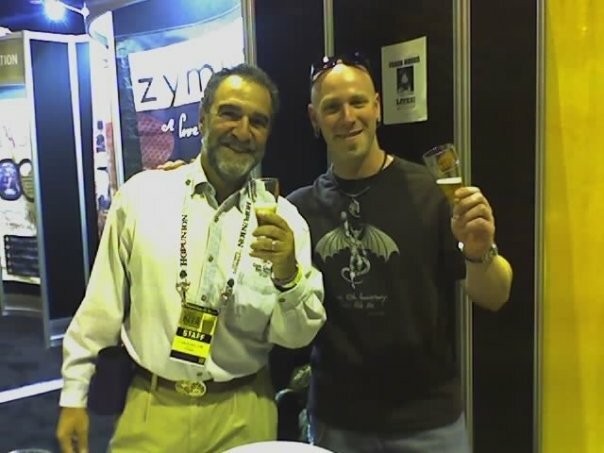 Julian with Charlie Papazian at GABF in 2006. With a group of ne’r-do-wells in Sacremento last summer.